These are from the Hummingbird Bakerys' latest book Home Sweet Home. 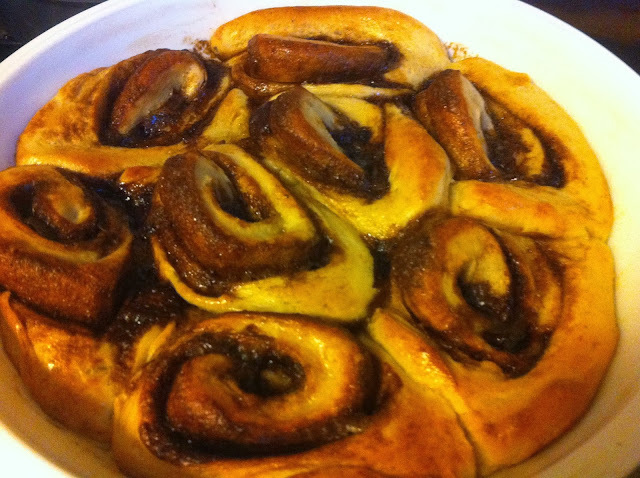 They are very american style cinnamon buns. 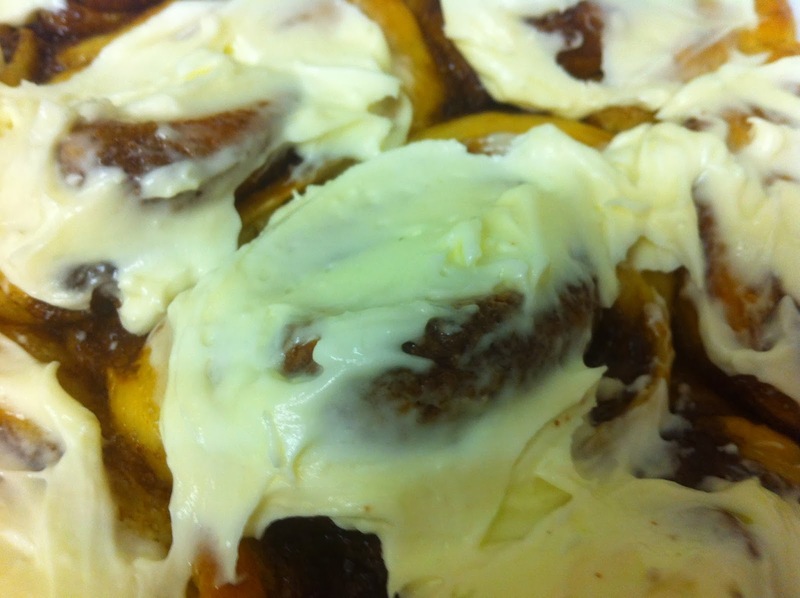 Rich and soft and covered with a generous dollop of gooey cream cheese icing which melts on the warm buns. You really can get away with half the icing I had plenty left over-I often find this with Hummingbird recipe-there just too much icing! 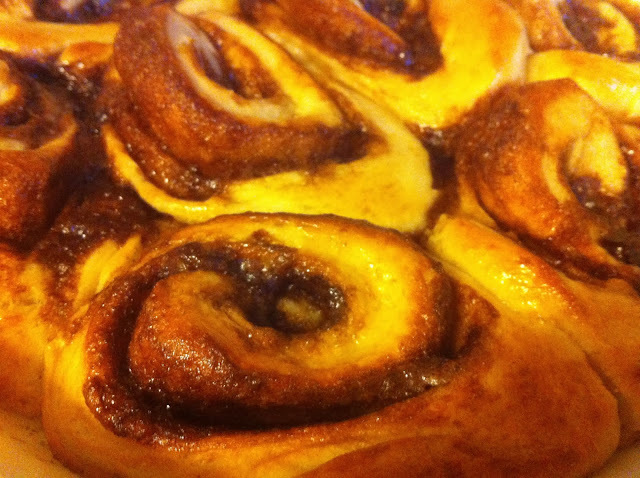 The buns however went very fast. Although it says makes around 16-that's fairly small ones and it's very easy to eat two! Just saying. 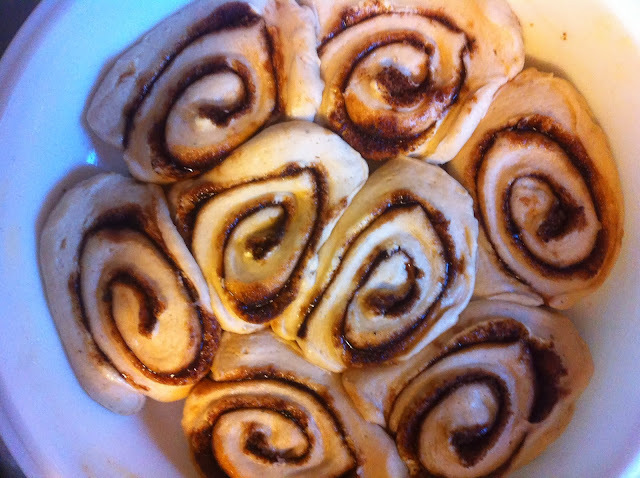 You could, I reckon, make these the day before and leave in the fridge and then take them out about three hours before you wanted to bake them for the final rise. Or freeze them before the second rise and then leave them out overnight....Just thinking maybe if you wanted to make them for Christmas morning/tea or something... Full recipe below the pics. 7. 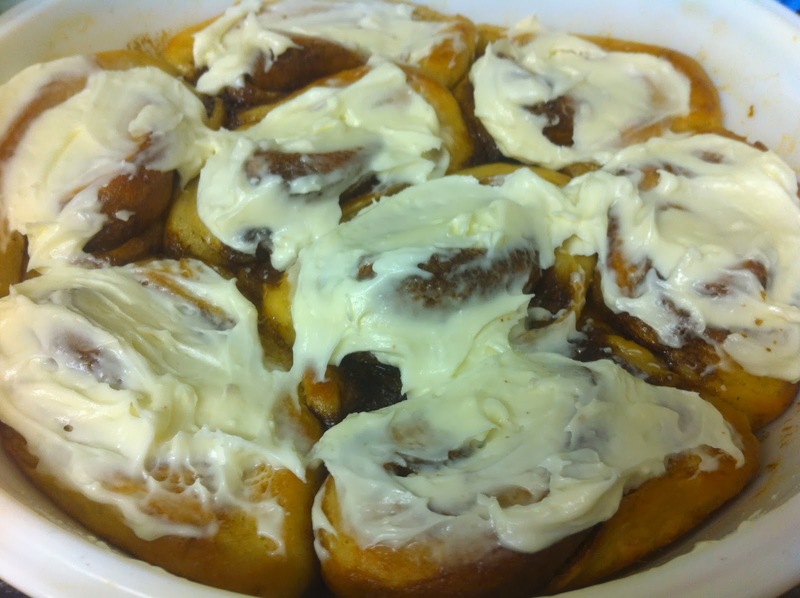 Smother with as much icing as you like and eat! one 25 cm or two 20 cm tins/pie dishes. 2.sift together flour and salt in a large bowl. 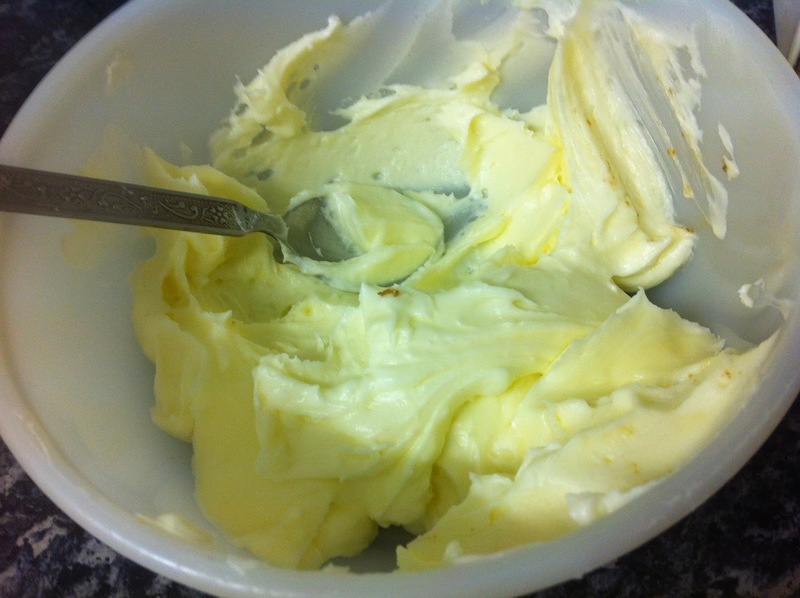 Add the butter and rub into dry ingredients to form a crumb like consistency with no large lumps of butter. 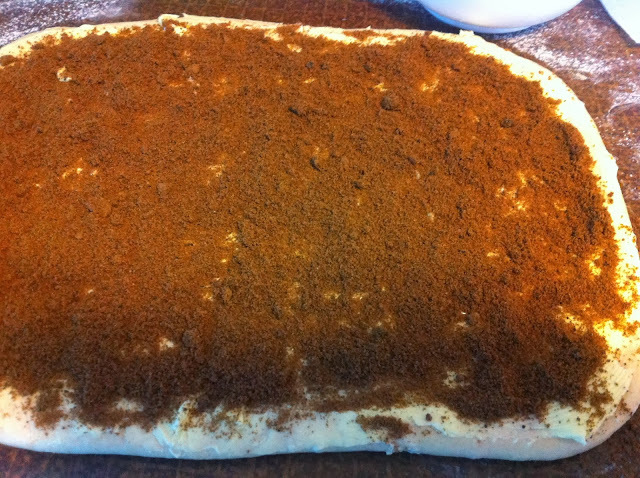 Make a well in the center of the dry ingredients and pour in the milk and and yeast. Using the spoon, bring the mixture together to form a dough. 3. Turn the dough out onto a lightly floured surface and knead well until soft and smooth. Place the dough back into a large,lightly floured mixing bowl. Cover the bowl with cling film and leave in a warm place to allow the dough to rise for approximately 40 minutes or doubled in size. 4. Once the dough has risen,knock it back in the bowl and turn it out on to a lightly floured surface. 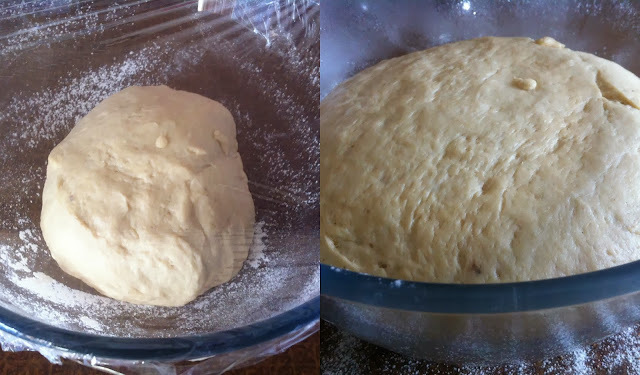 Knead it gently to get the dough smooth, then roll it out into a rough triangle, about 1.5cm thick. 5. 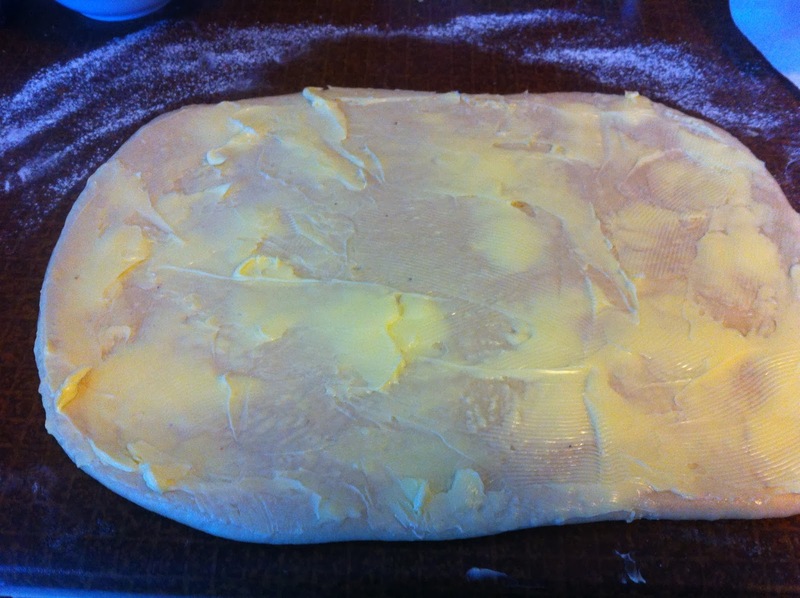 Gently spread the soft butter evenly over the dough. In a small bowl mix the dark brown sugar and ground cinnamon together. Sprinkle the cinnamon sugar evenly over the dough. Roll the dough up lengthways like a swiss roll. 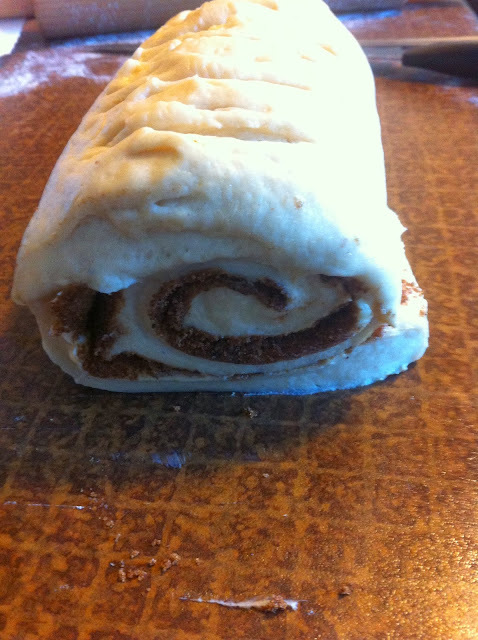 Using a sharp knife cut he roll into 16-18 slices. 6. Line the cake tin with baking parchment or butter the pie dish. Very gently place slices,flattest side down,into the tin, arranging them snugly. Where is the end of the method? I can only see step 6. There's no quanity for the milk that I can see, how much do you need?